WiFi, Broadband Internet connections to Holiday Villages. Are you finding that more potential visitors are inquiring about internet connectivity at your location? Are the connections available in the location insufficient? You could create additional income at your location. People traveling today want internet connectivity. 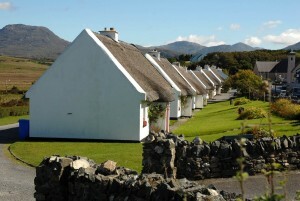 Why not attract tourists to holiday villages by offering services that people require today? Even on holidays people are becoming more and more dependent on their devices to be connected to the internet for email, banking, paying bills or keeping up to date with friends and family on social media. Independent studies over the years have focused on technology and how it will become important to the tourist industry. In 2013 Failte Ireland referred to the importance of technology and tourists reviews on websites which help promote your business. A more resent study carried out by Shannon College, FACTORS INFLUENCING TECHNOLOGY ADOPTION AMONGST TOURISM SME'S states that "technology is regarded as a main source of sustainable competitive advantage and a strategic weapon, especially in the tourism and hospitality industries". Northern Ireland Tourism produced "Tourism in the midst of a mobile revolution" how advances in mobile technology will shape tourism industry in the next decade, in which they indicate the importance of social media. We offer WiFi networks, internet connections to Holiday villages in rural Ireland and optional support service packages. If visitors can check into your Facebook, +Google page, or Tripadvisor and leave feedback or simply have the ability to connect and inform friends and family about the great time they are having while visiting your location, this spreads the word about your location and promotes your business. Holiday Villages being set up with WiFi network, 75 houses serviced by WiFi covering the entire Holiday village where a client of Air WiFi offers 13 houses for letting.